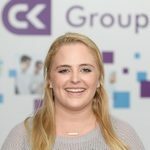 Georgia Bernard at CK Group is recruiting for a Bio-analytical Scientist to join a leading biopharmaceutical organisation that helps bring solutions to transform the lives of people with severe diseases. This role will be based at our clients state of the art facility in Slough on an initial 12 month contract. Our client is a global biopharmaceutical company whose medicine treats thousands of patients around the world who live with severe diseases. This role is located on a well-established biopharma R&D facility based in Slough. There are good transport links whether you drive or even use public transport. Slough is a great place to live and work and is easily commutable from Reading, Oxford and London. Performing analysis of protein therapeutics. Keeping accurate records and contributing to authorship of analytical aspects of regulatory submission, technical procedures, protocols and reports. Ensure appropriate lab material and consumables availability. Research specific analytical protocols and and keep aware of latest analytical techniques. A qualification in a science related subject. Experience with techniques such as HPLC (RP, ion exchange, affinity and size exclusion), mass spectrometry and electrophoresis. For more information or to apply for this position, please contact Georgia Bernard on 0191 384 8905 or email gbernard@ckscience.co.uk. Alternatively, please click on the link below to apply online now. Please note that your CV should show exact dates of employment (month and year) and any gaps of a month or more should be explained. If you do not hear back from us within 5 working days of your application for this role, it means that on this occasion you have not been shortlisted for the next stage of the recruitment campaign. Entitlement to work in the EEA is essential. Please quote reference 45241 in all correspondence.